Making your college dorm room decor eye catching is one of the things on the top of your college dorm checklist. You want your dorm room decor to be unique and express your personality. You definitely don't want it to look like everyone else's dorm room. This is especially true during the holidays. You want to create a one of a kind holiday dorm room decor that will impress your friends. 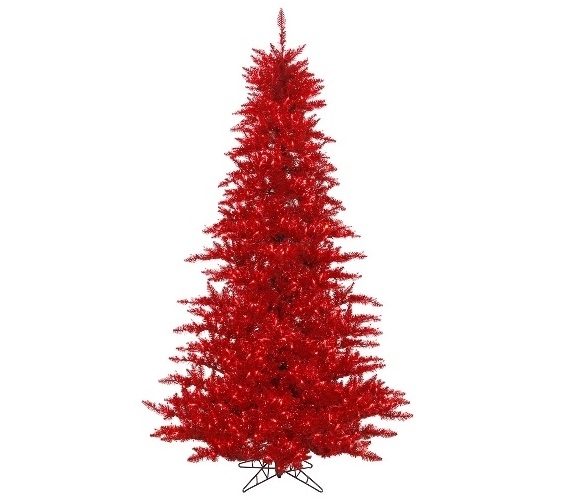 For cool looking dorm room decor during the holiday season, add our Tinsel Red Fir Tree with Mini Lights. Our Tinsel Red Fir Tree with Mini Lights is such a pretty dorm Christmas tree, it's hard to look away. And that's before you added your garland and ornaments to the branches! 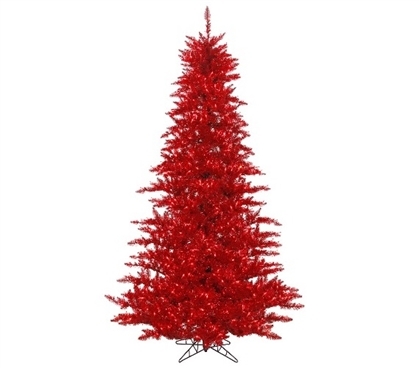 This dorm essentials item has shining tinsel highlights throughout the red branches to make your holiday dorm decorations wow your friends even more than they already will. Plus this dorm necessities item has one of the dorm items you need to make your holiday dorm room decorating complete. Wrapped around the branches of this dorm Christmas tree are red mini lights on red wire that are stunning against the red branches of the Christmas tree!